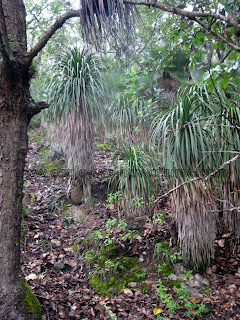 Nolina longifolia and Tillandsia prodigiosa growing in a cloud oak forest. 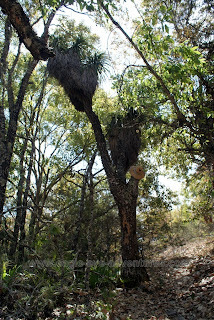 Whether it is Nolina longifolia or Beaucarnea longifolia, it is an interesting plant to see in the wild. 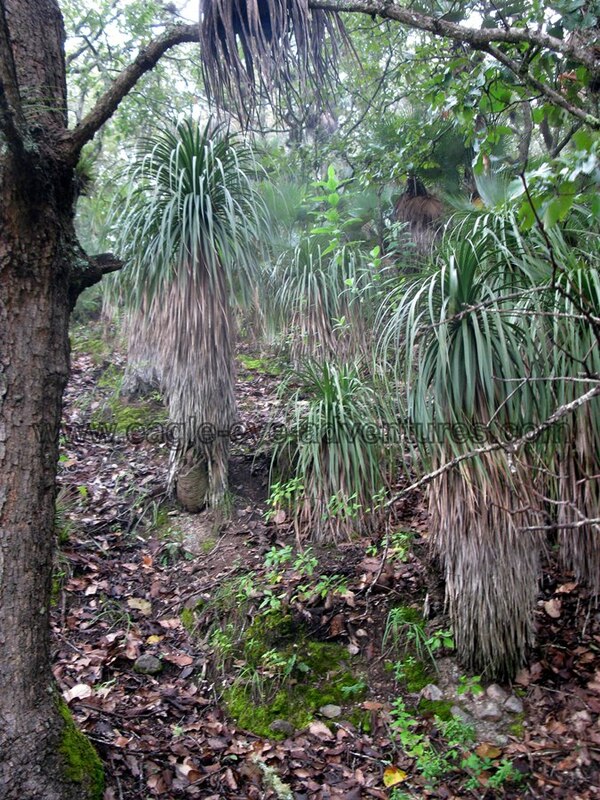 These grow in the pine-oak cloud forest in the mountains of Oaxaca. 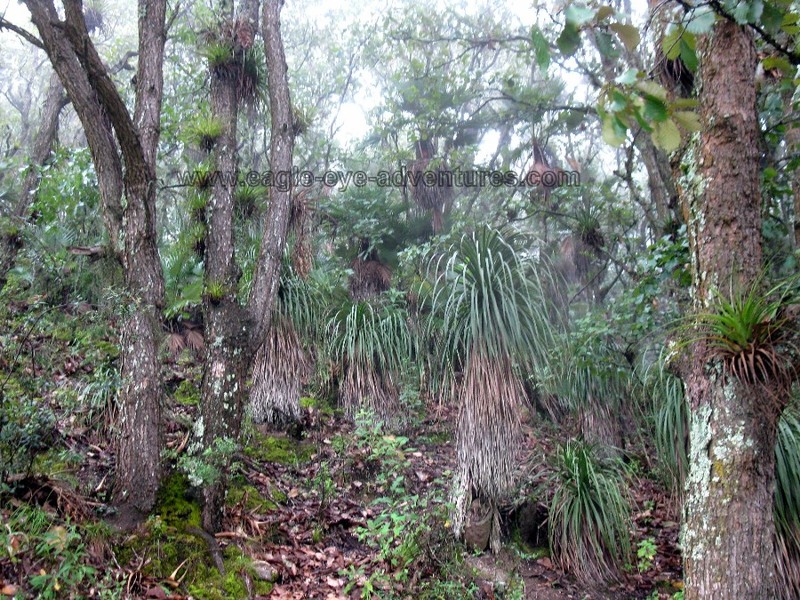 When you see them in the fog with Tillandsia prodigiosa hanging off the oaks it is a peculiar experience. 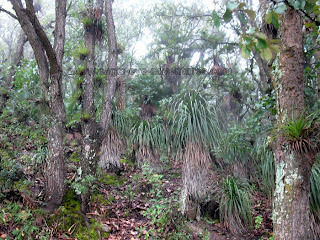 Generally cool, it is almost always peaceful wandering among these plants. Below is a very massive specimen. 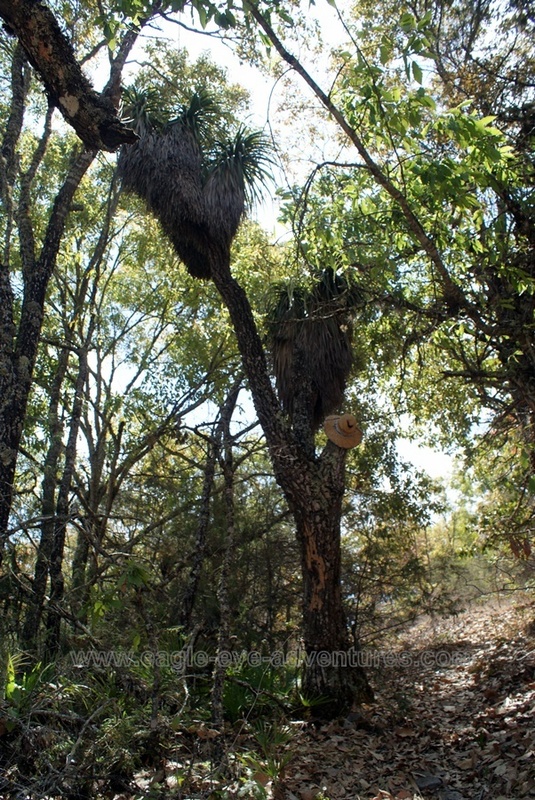 If you notice my straw hat and imagine the size of this grand old plant!